Nov. 8, 2013 – The Flatlands and Mill Basin – Bergen Beach Lions Clubs presented the Arthur C. Luf Children’s Burn Camp with a $3,600 donation today. 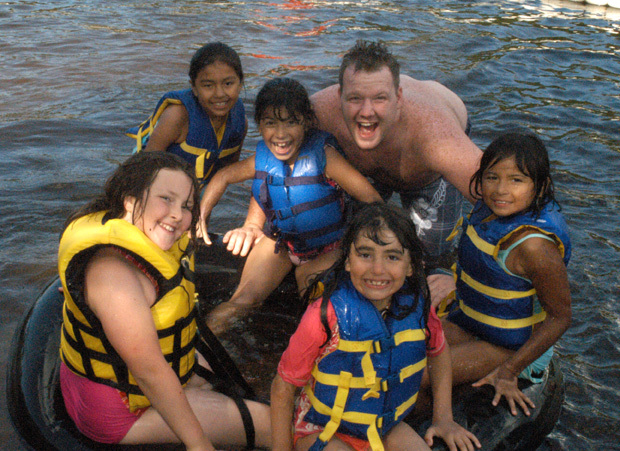 The camp, which is run by the Connecticut Burns Care Foundation, provides severely burned children from 8 to 18 with a place to have fun in a nurturing environment, a place where they can be themselves, and learn to grow beyond their scars, both physical and emotional. The camp, which is located in Union ,Ct., is staffed mainly by volunteers from the firefighting and medical community , many who return to donate their free time and expertise, year after year. 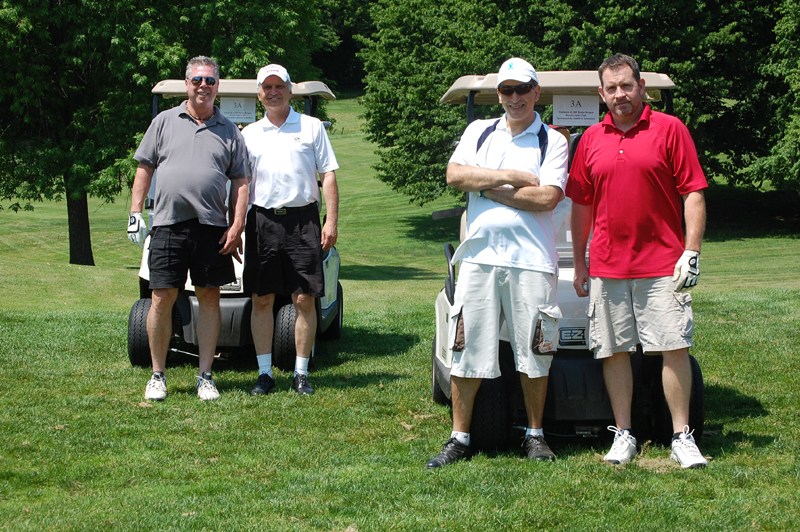 2012 Annual Golf Classic is a Great Success! May 17, 2012– As the morning sun dried the dew from fairways and greens made lush from days of rain, the first of the 72 participants of the 2012 Annual Golf Classic began to roll up the drive. Anticipation hung in the air, the sound of golf bags unloading and clubs rattling foreshadowing the impending contest. But as the golfers entered the main tent and were surrounded with posters of the children who attend the Arthur C. Luf Children’s Burn Camp in Union Ct., it became abundantly clear that the big challenge was not out on the golf course. 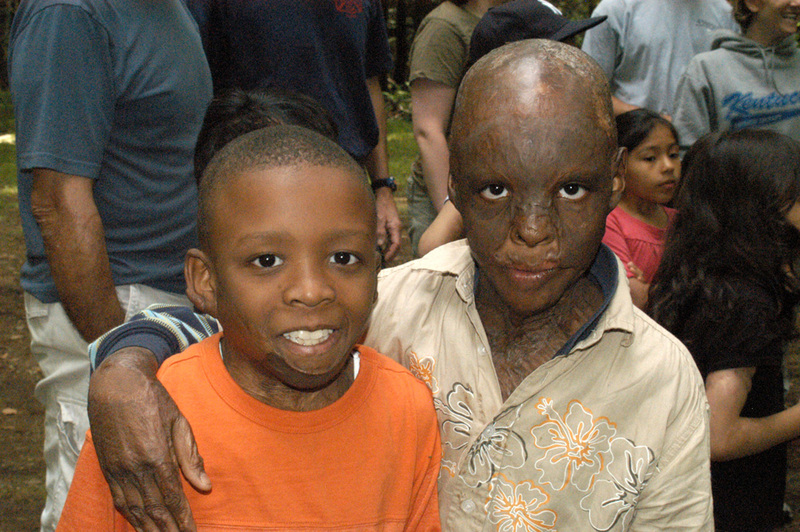 It would be to insure that the camp, which provides recreational, emotional and social support to 80 severely burned children each year, would be able to continue its mission to help these children develop the confidence and inner strength to overcome their obstacles – and most importantly of all, to allow let them forget their scars and just be kids once again. 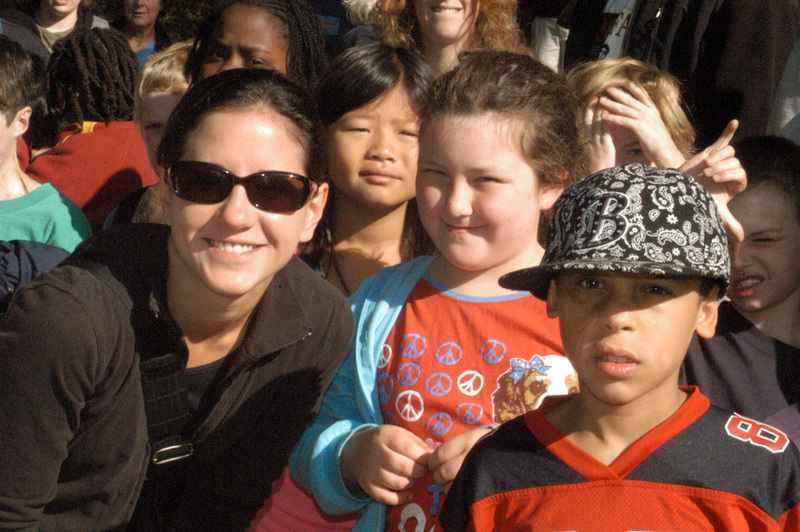 The Flatlands Lions Club first began their association with the Children’s Burn Camp in 2005 and were joined by the Mill Basin Bergen Beach Lions Club in 2009. The two clubs have partnered to raise over $55,000 for the camp to date, donating a major portion of the each event’s proceeds to the camp. The donations help to insure that the camp, which provided its services to the children for free, can continue this vital service. The balance of the event proceeds are used by the Lions to help support community vision, health and service programs.After a barbeque lunch and 50-50 putting contest, the golfers rode out onto the course on a perfect spring afternoon. 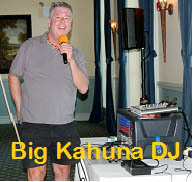 They returned to a four hour buffet dinner with music by Big Kahuna DJ. 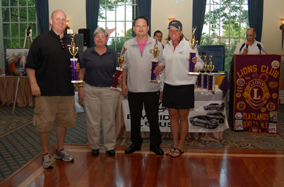 There were trophies for first, second and third place groups, longest drive and closest to the pin. There were raffle prizes, 50-50 prizes and a brand new 46 in. L.E.D T.V raffle. But the real winners weren’t the golfers, and the real prize wasn’t a trophy, plaque or gift. The winners were 80 young children who dream all year about summer at the Children’s Burn Camp and the prize, thanks to events like this one, is that their dream will continue to be a reality. Thank you, to all the participants, sponsors, donors and volunteers for making this event possible. Special thanks to the New York Firefighters Burn Center Foundation , NY Fire Zone for setting up a fire safety display and for John Wims of Big Kahuna DJ for donating his music, as he has done for many years. A big thank you to CLIF Bar for their wonderful energy bars , Pilo Arts for their generous service donations and Bay Ridge Lexus for providing a two-year Lexus lease as a hole in one prize. February 20, 2011 – Over 400 Lions congregated at the Immaculate Conception Center in Douglaston, Queens for the District 20 K1 Mid-Winter Convention. Flatlands manned a booth at the event to promote the T.E.A.L. Walk for Ovarian Cancer and the Arthur C, Luf Children’s Burn Camp. Lions Larry Esposito, Paul Cucarese and John Cucarese , T.E.A.L executive director, Pamela Esposito-Amery and Frank Szivos, executive director of the Children’s Burn Camp attended to get the message out to the District. 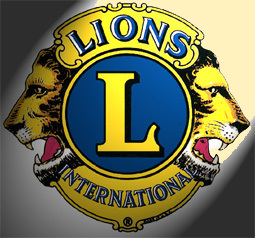 The message was well received by the Lions at the Convention and many contacts were made with Lions from the other District clubs. July 15, 2010 – The 2010 Annual Golf Classic drew over 80 golfers for a great day of golf at the South Shore Country Club. 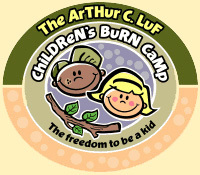 The outing primarily supports the work of the Arthur C. Luf Children’s Burn Camp, which helps young burn victims from 8 to 18. The Outing raised $9,000 for the Children’s Burn Camp alone. Thanks to all the participants, sponsors, volunteers and Lions from the Flatlands and the Mill Basin-Bergen Beach clubs. July16, 2009. – The Flatlands and Mill Basin Lions joined forces to support the work of the Arthur C. Luf Chilldren’s Burn Camp at the 12th Annual Golf Classic, held at the South Shore Country Club in Staten Island. 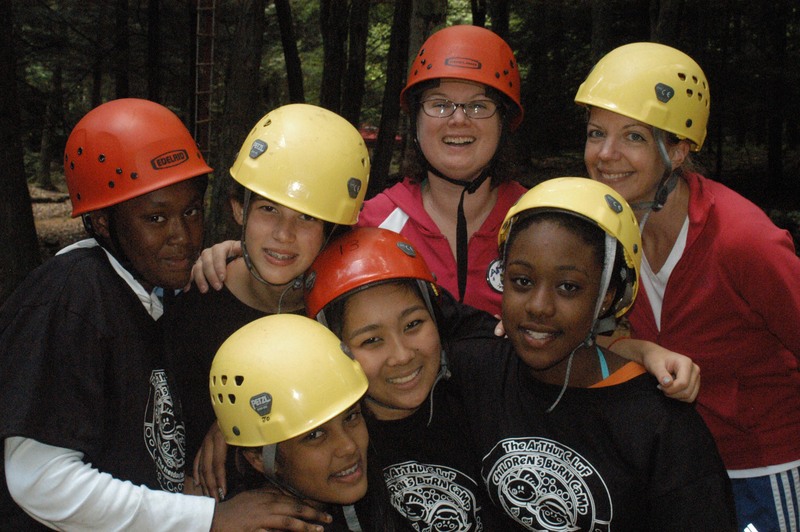 The Children’s Burn Camp, located in Union Connecticut, helps young burn victims from 8 to 18 develop the confidence to move beyond their burns. Most important of all, it is a place that provides the children the “freedom to be a kid,” without having to worry about their scars. The camp is staffed by volunteers, mainly firefighters and medical personnel, who donate their time, so that the kids can go for free. All costs for the children are entirely funded by donations and fundraising events such as this one. Despite a difficult economy a record $9,000 was raised for the Burn Camp. 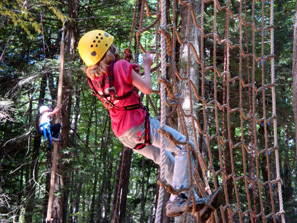 Frank Szivos, the camp’s executive director said that “the Lions were one of the only donor organizations who increased their contribution in 2009.” The generous support of sponsors like Gerstein Fisher, Clif Bar and Pilo Arts Salon, who have a long history of charitable activity certainly helped. Both the Mill Basin and the Flatlands clubs membership credit their partnership with providing the impetus to overcome the stagnation that affected most charities this past year.